The Board of Eskom today convened an urgent meeting with the company’s executive management and the Minister of Public Enterprises, Mr Pravin Gordhan, following the unexpected introduction of load shedding from this past Sunday. The initial schedule was to implement stage 2 load shedding on Monday as a result of generation shortages over the weekend and constraints in diesel supply. However, earlier today (Monday February 11), Eskom implemented stage 4 load shedding. The escalation from stage 2 to stage 4 load shedding was caused by a further seven generating units that tripped within a period of five hours. This report on the causes, including all the challenges of the new and old power stations, was much of the deliberations between the Board, management and the Department of Public Enterprises in today’s meeting that lasted for over to six hours. By this evening, four units had returned to service and it is expected that the remaining three will be back to service by tomorrow morning. We will have a systems- and operations update within the next 24 hours. 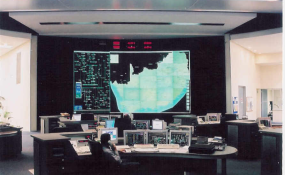 The Board was provided with a detailed analysis about breakdowns in Eskom’s new build programme and at its fleet of older power stations. The Medupi and Kusile power stations – the core of the new build programme – are continuing to show a lack of reliability to contribute meaningfully to Eskom’s generating capacity, which is a serious concern. The Board has resolved to institute an urgent review to establish when, realistically, these projects will be completed, the extent of design- and other operational faults, what steps can be implemented to minimize the ever-escalating costs and what can be done to increase output. The Board is also urgently embarking on an in-depth audit of the entire system to ensure that every technical problem is understood at a granular level and to avoid unexpected crises as seen today. We continue to appeal to residents and businesses to use electricity sparingly during this period to assist in reducing demand. Copyright © 2019 Eskom. All rights reserved. Distributed by AllAfrica Global Media (allAfrica.com).